We are often lead to believe that, for a gardener, insects are your prime enemy. 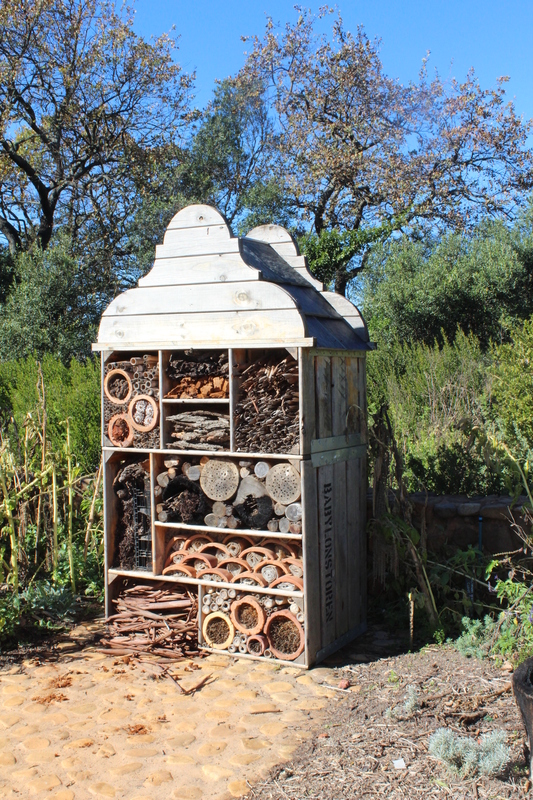 We create gardens sterile from insects. 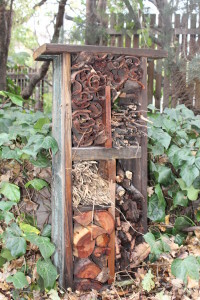 If we can create gardens closer to nature, where insects and their predators can balance each other out, the instances where pests take over will happen less often. 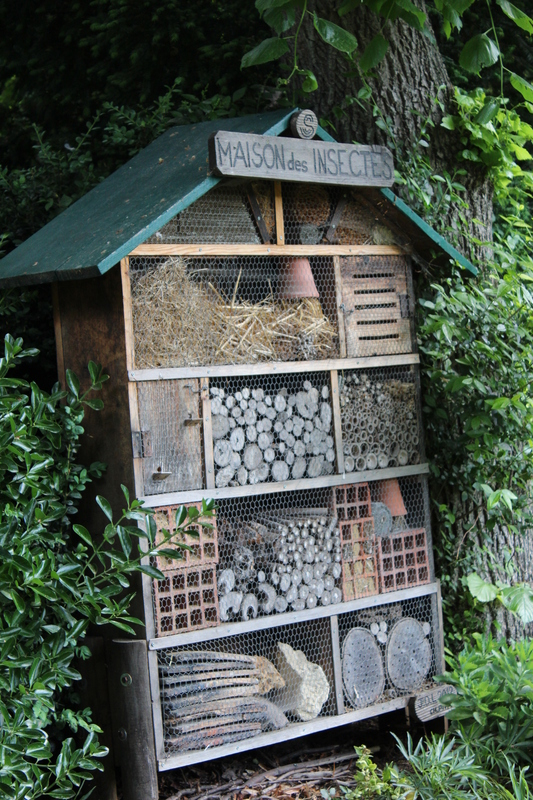 Secondly , there are many useful insects to a gardener. Predators that will keep pests in control. Parasites , like wasps that use other insects to use as living food for their small ones. 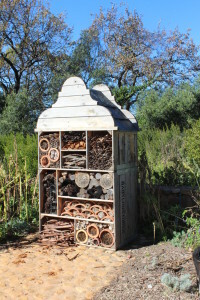 Bugs to help with pollinating flowers and fruit trees. They also serve as food for larger predators like birds and small reptiles. Neat gardens and lawns have less and less space to accommodate insects. 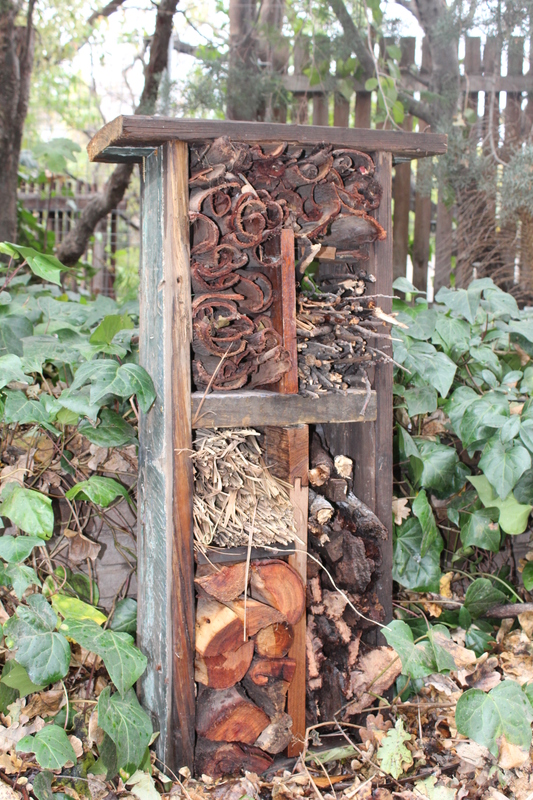 Lately I saw several insect hotels. 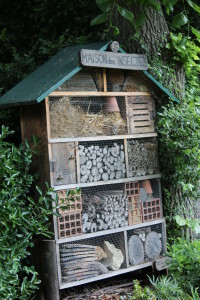 This is man made structures that can provide shelter for a variety of insects. They are east to build and can give an interesting focal point to a garden. All you need is a framework filled with hiding space and potential food. Mostly stuff we will throw away on a daily basis. Bark, twigs, pieces of wood and gardening left overs. Your hotel will be as pretty as you can be creative and will gives lots of joy! LOL Boutique Hotel…cute! 🙂 Love it!! !